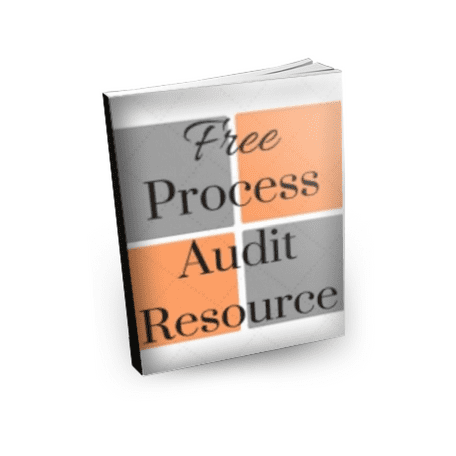 A robust resource for planning and conducting process audits. On us! Our free ebook for process auditing is designed to help internal auditors plan, document and report an audit in a format consistent with ISO requirements and do it effectively without a great deal of paperwork. We’ve also included a compilation file that includes excerpts from all of our other ebooks so you can get a peek inside those. Do you have an Integrated Management System? The ISO Audit Guide ebook bundle is the perfect companion to an integrated quality and environmental management system. It includes both the ISO 9001:2015 and the ISO 14001:2015 Audit Guide and Checklist eBooks as well as the Process Audit Toolkit and our free Audit Planning Resources. Bundle and save over 25%! Our IATF 16949:2016 Audit Guide and Checklist 2nd Edition eBook was written to help you take an effective process-based approach to your quality management system. This Second Edition has over 350 pages of insightful and practical advice for planning, deploying and sustaining a Quality Management System (QMS) in the automotive sector. This guide offers you the practical information that you need in order to exceed your customer expectations and stay competitive. On sale now at over 35% off. Download immediately. Our latest eBook is a practical, easy to use comparison of the ISO 9001:2015 and the new IATF 16949:2016 standards. It effectively takes the two standards adopted by the certifying bodies and reorganizes the requirements back into one single manufacturing process based structure. Requirements of the standards are covered in easy to interpret bullet points that have been formatted in a way to support you in evaluating your QMS and how it meets the requirements. All ISO 9001:2015 and IATF 16949:2016 requirements are covered as well as customer specific requirements for Ford, GM, FCA and PSA as well as specific CQI requirements. On sale with a reduced introductory price. Buy now and save! Connecting dots between Rational Thinking, Appreciative Systems and an effective 9001:2015 implementation. Our newest eBook is a journey to address the requirements of ISO 9001:2015 from a systems thinking perspective and in terms of Rational Thinking. The journey weaves through 8 chapters that cover all of the main clauses of the new standard and relates them to thinkers and ideas behind Rational Thinking such as Geoffrey Vickers and Peter Checkland. Included are three Process Design exercises that you can take your teams through to better understand not only the requirements of the standard, but your system and organization as well. Process Audit Toolkit also included. The latest ebook by Pat Ambrose offers a step by step process for crafting an effective, fully integrated, performance and responsibility based management system. With over 280 pages this book incorporates all of the requirements from the ISO 9001, 14001 and 45001 standards. The requirements are not simply copied from the standards, but are put into a sequence that supports implementation, resulting in a workable and value-added management system. Our ISO 9001:2015 Audit Guide and Checklist eBook is your partner in taking a process-based approach to effective and value added management systems. Over 300 pages of insightful and practical advice for planning, deploying and sustaining a Quality Management System (QMS). This guide offers you the practical information that you need in order to exceed your customer expectations and stay competitive. Our ISO 14001:2015 Audit Guide and Checklist eBook is your partner in taking a process-based approach to your Environmental Management System. Over 100 pages of insightful, invaluable and practical advice into planning, deploying and sustaining an effective EMS. Designed to stand alone or paired with our ISO 9001:2015 Audit Guide the ISO 14001 Guide will provide you with the practical information that you need in order to establish and maintain environmental standard conformity and sustainability. Process Audit Toolkit included. A practical toolkit for defining, mapping and auditing effective management systems. We put together some of our favourite material on processes and process auditing in one package. Then we decided to offer it to you free as an effective supplement when you purchase either of the ISO Audit Guides or the ISO Audit Guide Bundle. It can also be purchased here as a stand-alone product at a highly affordable price. Regardless of ISO certification, this ebook will give you the insight you need into developing, documenting and auditing your processes. Over 30 pages of valuable content to support your process auditing program. Original examples of process maps and dialogue to inspire you. Chapters on process mapping, turtle diagrams and internal auditing. Templates for an Audit Summary report and for defining process characteristics. List of ISO 9001 and IATF 16949 requirements for conformity, effectiveness, efficiency. Free copies of all future editions of the Toolkit on the 2015 standard.